Find Basic Running Wear, Racerback Tank Tops, Sublimation Sports Wear on Industry Directory, Reliable Manufacturer/Supplier/Factory from China. 3 times of quoted unit price by available fabric and accessories. 1-2 weeks by our own available fabric and accessories. 30% deposit by T/T, 70% against email concerning full set of documents, sending original documents after getting the payment. 1pc/poly bag, 50pcs/carton, 60*40*40cm. as customer's requests. 35-60 days after order confirmed. A-ONE is a professional fitness wear supplier established in 2011 in south of China. All our goods are exported to USA and Europe, while some of designs are originally designed and developed by ourselves. With over 10 years garment experience in average of all our staffs, Most staffs come from rep office of a big North Europe company, with great understanding of Europe standard and service. We have our sample room and our design team. Your small order qtty is acceptable without any extra fee if base on our available fabric. We can apply design service if you need. We do OEM. Your logo print on the sample is ok.
We are also working for 2XU,NEWLINE, ONLY,Stormberg etc internal sports brand. We believe quality is the base of long time cooperation. We have strictly quality control system to make sure our goods will be same as your confirmed sample. 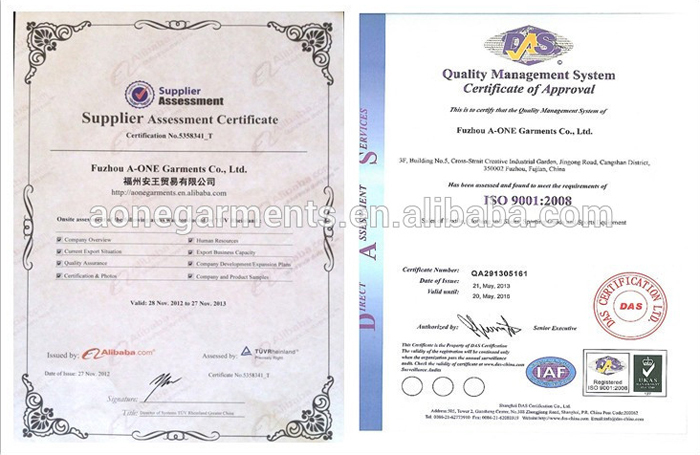 We have professional QC department. Our servicesSample We can provide sample production and delivery service . Normally , you can get the samples in 1-2 week. We have our sample room and our designer, we can design for you. If you have any actual sample in hand,I hope you can send it to us. We will check your sample material and quality, then give our best competitive price and arrange samples as per yours. If you would like to get more information ,pls contact us by telephone , e-mail or trade manage. Delivery We can ship the goods as per your requirements,by sea, by air or express. For the small wholesale business ,we provided door to door delivery service ,you can sign the goods at home. Bulk production delivery depends on your order quantity, fabric type and styling. We will confirm the delivery in costing stage. FAQ 1. Q: Are you a factory or trading company? A: We are a Factory & Trade company established in 2011 in south of China.We can give you the best service than others. Our most strong advantage is our great sample room with the best pattern maker and own designers and have been working for many international sports brands. 2. Q: How does your factory do quality control? A: All the products will go through five steps of QC before leaving the workshop, no matter it is sample or mass production. 3. Q: What's your min order quantity? 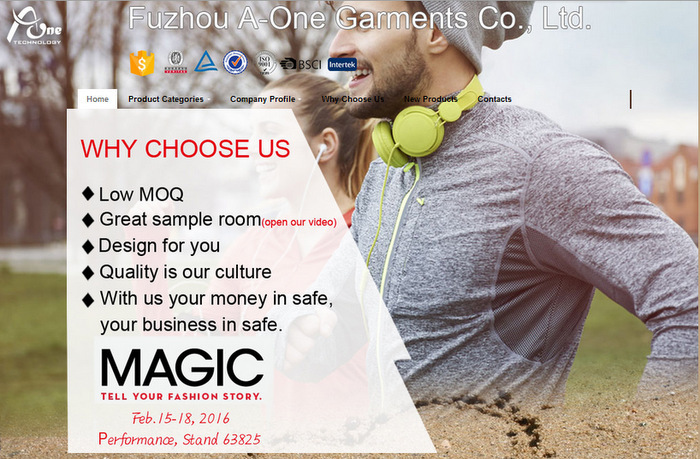 A: Our MOQ is 500 pieces per style and we welcome your sample order. 4. Q: Can I get everything customized here? A: Definitely yes,we have our desinger Evens,many hot products designed by us. just kindly advise us your special demands, we'll get the job done. 5. Q: What's your sample policy? A:3 times of quoted unit price by available fabric and accessories. Contact us if you need more details on Compression Wear. We are ready to answer your questions on packaging, logistics, certification or any other aspects about Mens Compression Wear、Gym Wear. If these products fail to match your need, please contact us and we would like to provide relevant information.